The NCBI Table Quiz is back! 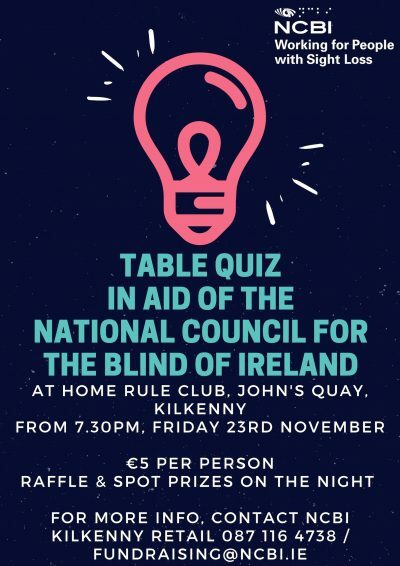 NCBI Charity Shop Kilkenny are hosting their quiz night on Friday 23rd November, 7:30pm at Home Rule Club Kilkenny, Johns Quay, Kilkenny. SPOT PRIZES & RAFFLE on the night! €5 pp, 4-6 per table. Spread the word with friends and family based in Kilkenny please!